We offer you reasonable tuition fees (tax included). ★You cannot loose your money by make-up lessons. You can cancel the lesson if you are busy. ※Call us by 8 p.m. one day before your lesson. Then your teacher will give you a make-up lesson. Take lessons at your favorite place, time, and day. ※No cafe lesson is conducted for children under 15. ・You can take our lessons any time between 9 a.m. and 10 p.m.
・Our lessons are available on any day even weekends and holidays. Choose your favorite teacher, Japanese or Bilingual. Japanese you can select a Japanese teacher or a bilingual teacher. Bilingual Teachers are Japanese or Foreign Nationals. Chinese, and Korean are available. We teach you with our effective method and textbooks. type of lessons without using any textbook. best for you in terms of effective Japanese language teaching. textbook in accordance with each student's Japanese study background. Private lessons are much more efficient than class lessons. students are not good enough to satisfy each student's real needs. You can take lessons with your family, friend, and colleague. you want to take CJT lessons with your acquaintances. All age brackets from pre-school kids to company executives are welcome. 3-year-old preschoolers up to senior citizens. CJT is designed for our students as follows. self-employed, general adults, senior citizens, and etc. 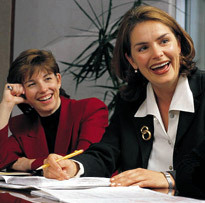 Professional staff support your learning as your teaching mentors. Available areas: You can take your lessons across Japan. CJT Japanese teachers are available all over Japan. You can take our Japanese lessons wherever you live in Japan. It is the most important thing for preschoolers to train their ears with which they can catch Japanese sounds precisely. If they obtain good ears for Japanese sounds, they can acquire Japanese skills much easier by listening to authentic Japanese sounds in their daily life. As a result their Japanese pronunciation gets better and better by imitating Japanese nationals' authentic sounds in daily conversation. Further more they can learn Japanese letters easily. CJT introduces abundant listening practices by listening to and singing Japanese nursery rhymes with CDs and teacher's own voice. CJT also inputs basic vocabulary and expressions through eye sight with colorful flash cards and picture books. This course is for any elementary school pupil. Even those who learn Japanese for the first time can start learning Japanese from the very beginning. All the teachers are quite experienced in teaching Japanese to foreign children. Textbooks are colorful with full of photos and illustrations which help children guess the meanings of Japanese expressions easily. Our students can learn not only listening and speaking but also reading and writing by using workbooks. The teachers conduct lessons with lots of fun activities such as singing Japanese songs along CDs, playing language games in Japanese, and enjoying small talks with students. One of the goals of this course is acquiring communicative skills with which the students can talk about various daily topics with native Japanese speakers in Japanese without any difficulties. Busy mothers would save their time and energy to welcome CJT tutors to their homes in stead of taking their children to a Japanese school. Some foreign students feel difficulty to take regular classes at middle schools in Japan. CJT Japanese tutors assist them to follow their studies at their schools. Depending on each student's Japanese level CJT can provide him/her with proper textbooks and effective Japanese instructions. Without translating from Japanese into their native languages CJT teachers promote the students to understand what their hear and read directly in Japanese. By doing so the students will be able to express themselves in Japanese speaking and writing much more smoothly. Any junior high school students from foreign countries can take this course for improving their Japanese 4 skills: reading, writing, listening, and speaking. They can also prepare for their entrance examinations of senior high schools or Japanese proficiency texts. This course is for any foreigner who wants to improve Japanese skills for their daily life in Japan. Our students are consisted of foreign students, office workers, house wives, general adults from overseas. CJT can enhance students' communicative skills in Japanese daily conversation. If you have any specific purpose of studying Japanese such as entering technical schools or universities in Japan and being employed by a Japanese company, CJT will customize your textbooks and lesson contents. Please consult with our CJT staff about what Japanese skills you want to acquire. They will surely show you effective ways to accomplish your goals of studying Japanese. Improve your business skills in Japanese by taking this course. 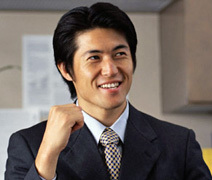 You can find it easier to communicate in Japanese in various business situations. Depending on your needs CJT staff will customize your textbooks and lesson contents as you wish. 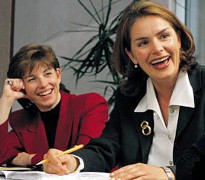 For some instances you can study office communications, business sales, business calls, e-mail reading and writing, attending meetings, business negotiations, and so on. If you want to be hired by a Japanese prestigious company, CJT teachers will give you effective pieces of advise to succeed in job hunting in Japan. You can learn any Japanese skill you want to acquire for your business or work activities in Japan in this course. Test Preparation Course for JLPT and BJT, etc. Do you want to pass JLPT: Japanese Language proficiency Test or BJT: Business Japanese Proficiency Test sooner? Then take this course. CJT teachers will instruct you effective techniques how to prepare for the Japanese proficiency test you want to pass. Since our lessons are all one-on-one private lessons, you will be able to improve Japanese skills smoothly which are required to pass your target text. CJT can provide you with the best textbook, lesson content, teacher, and teaching method so as for you to succeed in test preparations. As you know well passing a higher grade of a Japanese proficiency text is your best proof of your Japanese proficiency level. ●CJT teachers are all certified and experienced. competency test or have more than one-year teaching experiences. ●CJT instructors have high Japanese teaching skills. all the CJT instructors who have newly employed. who have passed Japanese-language teaching competency test. CJT bilingual Japanese teachers are two kinds as follows. 1)Japanese nationals who are good commands of a foreign language. 2)Foreign nationals who are good commands of Japanese. Both of them are certified or have high Japanese-language teaching skills. or calling our head office in Tokyo. You can request our brochure sent to your home as well. our programs can take our trial lesson. lesson date, time, and place as well as your wishing lesson content. your lessons at the date, time, and place as you wish. Our 30-minute-trial lesson is subject to fees as follows. your home, at a coffee shop, or at your office. a 30-minute trail lesson for you. by actually meeting and taking his/her trial lesson. purpose of your studying Japanese. fees in details as well. you can enroll our regular lessons. or even at a convenience store. done and the textbooks reached at your home. *One lesson lasts for 50 minutes for only preschoolers. ※CJT will try to find a teacher near from you as possible. You need to pay any of allowance to your teacher if 3) or 4) below. ※If walking over 15 minutes, the teacher needs to take a bus. even at a convenience store or online. *Online banking accounts are very useful. ●You pay the transportation fares directly to your teacher in cash. learning supports as follows. No extra payment is needed. teacher for you free of charge. finishing the initial textbook or material. CJT will be between you and your teacher to solve any problem. CJT to inform your teacher of your wish indirectly. 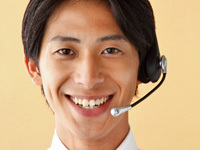 Japanese by sending us your email or calling us. CJT give you a study counseling with email or telephone if needed. directly to CJT staff or office by email or fax. ・You can withdraw from our program from the month you wish. stop taking our lessons from the following month. ※Any link to this site or opinions about our program are all welcome.